When selling hand dryers, in addition to focusing on the individual benefits for specific markets, suppliers should discuss the overall decrease in maintenance and operating costs that hand dryers can provide to facility managers. From keeping the cost of paper towels low or nonexistent, to decreasing the resources needed to maintain restrooms, using hand dryers can be more beneficial than using a paper towel system, says Christopher Berl, founder of RestroomDirect in Huntersville, N.C.
Sectors in which hand dryers can be sold in volume, such as in the fast food industry, can also be lucrative. That does not mean that single proprietorships are not a good source of revenue, but selling a couple of hand dryers here and there can be more time-consuming, says Anthony DiCicco, owner of ProDryers in Livonia, Mich.
“Warehouses, factories, stadiums, anywhere where you are moving a lot of people through” are good sources of hand dryer sales, says Berl, adding that the facility manager of a high-traffic restroom will see their investment pay off quickly. Hand dryers “are an upfront cost that takes away ongoing paper towel costs in one fell swoop,” Berl says. Facility managers will face more upfront costs when buying and installing hand dryers when compared to paper towel dispensers. As a result, Berl says facilities that do not serve a lot of restroom users will see a longer return on investment. “If you have 50 people a day using your restroom, you’re going to pay back that upfront cost in a year or less and, after that, it’s essentially free,” he says. 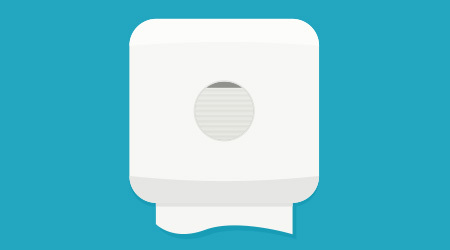 Despite the benefits derived from hand dryers, many consumers still favor paper towels. This makes hand dryers a tougher sell in consumer-driven markets compared to businesses such as factories, government buildings and office spaces. “As a business owner, when you are building your restrooms, it depends on your target, but you want to capture and satisfy them all,” says DiCicco, who recommends a small exit towel system by the door of the restaurant to any client that may be unsure of the user perception of hand dryers. “You have the best of both worlds” in that case, he adds. Tapping into the emerging hand-dryer markets depends heavily on having the right organizational support structure behind the sales team, DiCicco says. This includes having a fundamental understanding of the needs of each sector, as well as a strong commitment to customer service. Brendan O’Brien is a freelancer based in Greenfield, Wis.